Samsung recently unveiled their latest flagship, the Galaxy Note 9 in Pakistan, which certainly is a heavyweight in all means. The Galaxy Note 9 is heavily equipped with features and exceptional specifications. Another hyped launch was that of the Oppo Find X in Pakistan, earlier this year. Oppo unveiled the Find X, which is surprisingly expensive but is it worth purchasing over the Galaxy Note 9? Let’s put the Oppo Find X against the Samsung Galaxy Note 9 to find out which is the better phone in terms of display, built, internals, battery, camera, other features and of course price. Both these devices come with a 6.4” display. The one on the Note 9 is a super AMOLED QHD display, which would be more vivid and crisp compared to the Find X’s 1080 x 2340 AMOLED display. Both devices, however, include Gorilla Glass 5 protection. 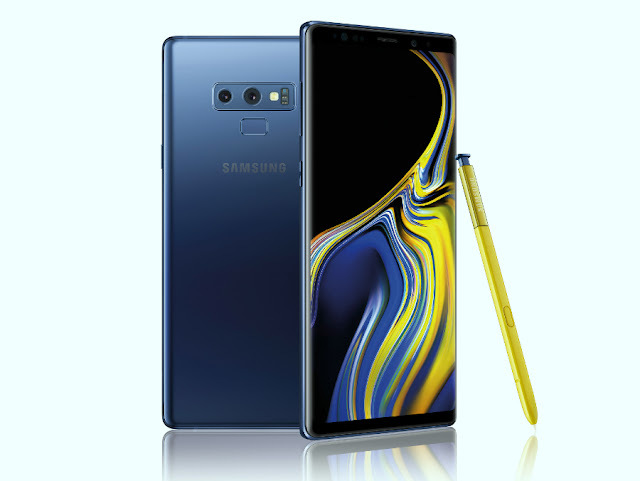 The Galaxy Note 9 is equipped with the Exynos 9810 Octa-Core processor, coupled with 6/8 Gigs of RAM and 128/512 GB internal storage, which is expandable via an SD Card. Oppo Find X, on the other hand, sports the SnapDragon 845 Octa-Core, coupled with 8 Gigs of RAM and 128/256 GB built-in storage. Undoubtedly, both the devices are equipped with extremely good cameras. The Samsung Galaxy Note 9 comes with a dual camera setup on the rear with a 12MP f/1.5-2.4 dual pixel, OIS lens along with another 12MP lens with aperture f/2.4, OIS and 2x optical zoom. The front camera is an 8MP Lens with aperture f/1.7. The Oppo Find X is also equipped with a fancy dual lens setup on the back. There’s a 16MP ‘Pop-up’ lens with aperture f/2.0 and OIS, alongside a 20MP lens with f/2.0. The front camera on the Oppo Find X is another 20MP pop-up lens with aperture f/2.0. Both these flagship devices are powered by decent batteries. The Oppo Find X comes with a 3100 mAh battery while the Galaxy Note 9 comes with a huge 4000 mAh battery, with both expected to provide enough juice to power your day through. As far as other features are concerned, the Samsung Galaxy Note 9 includes Quick Charge 2.0, Wireless charging, USB 3.1, Type-C reversible connector, Samsung Pay, IP68 certifications, Bluetooth integrated Stylus, Iris scanner, Fingerprint scanner, barometer, heart rate sensor, SpO2 and all the other sensors. Oppo Find X on the other hand, comes with all the basic sensors, Flash Charge, USB 2.0, Type-C reversible connector, USB OTG and face ID. The Oppo Find X costs Rs.130,000 in Pakistan while the Galaxy Note 9 also costs Rs.130,000. With identical prices on board, these phones can only be compared in terms of features and specifications. The Galaxy Note 9 certainly looks like the more promising device with better display, great performance, better built-quality, excellent camera and more features. On the other hand, the Oppo Find X is also a considerable option with a supposedly better design, excellent performance and a great camera.